Do you love fruits? I adore every one of them without exception. Where I’m now, the seasonal fruits are so many and so tasty! I just love them – watermelon, peaches, berries, melons, grape and you can find almost everywhere tropical fruits like – mango, bananas, coconut and many others! There’s one absolutely delicious breakfast that I LOVE and consist of many fruits. You can prepare it with all type of fruits, not only with those I used in the recipe bellow. 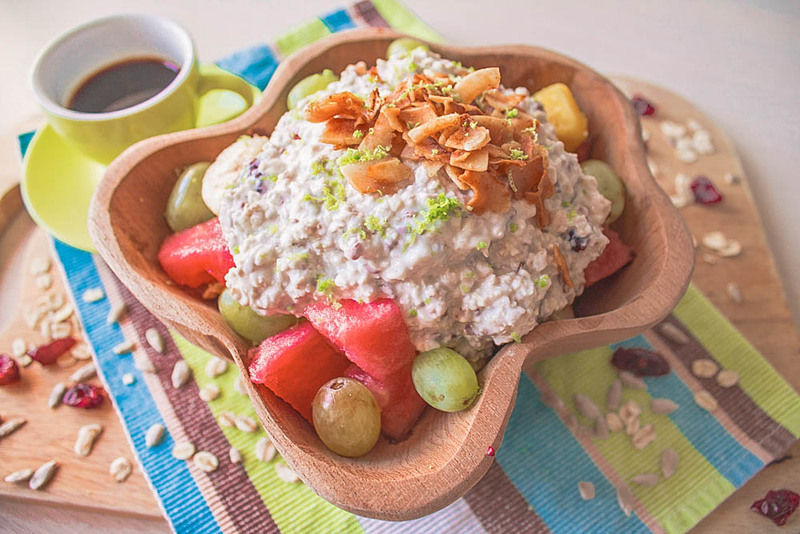 You should definitely use seasonal fruits when you prepare the bircher muesli! 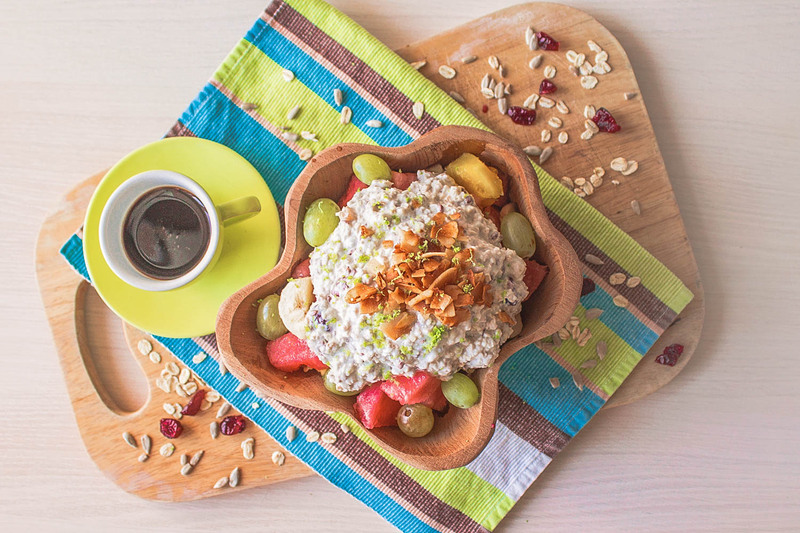 The muesli goes very well with all kind of fruits. In the original recipe it’s made with apples, but you can mix different types to prepare something like fruit salad. 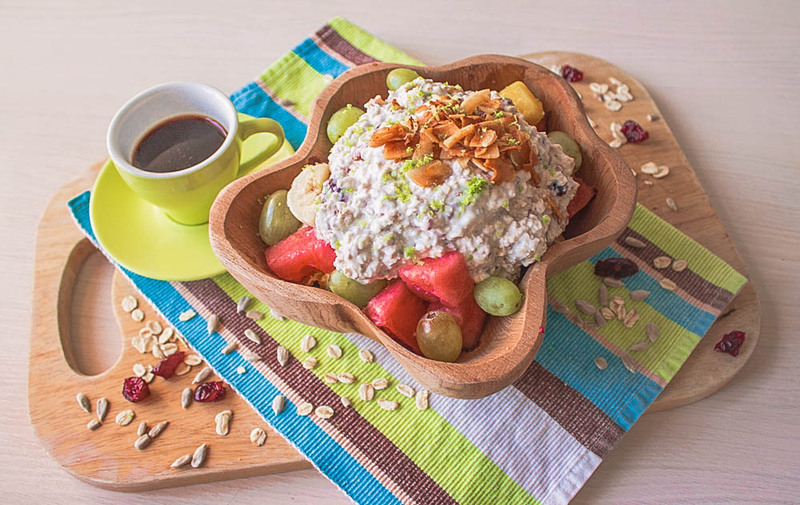 In a small bowl place the yogurt, add the oats, seeds, dried red berries, walnuts, honey, vanilla and cinnamon and mix well. Add in the zest of lime. Leave it for a night in the fridge.